1 What are the facilities at GiriVihar Cancer Hospital? 4 What you should take from home for treatment at Valsad Cancer Hospital? Vaghaldhara Cancer Hospital is also known as Girivihar Cancer hospital, RMD cancer hospital or Valsad Cancer Hospital. I had an opportunity to be there for 4 to 5 hours and have a close look at how patients are treated at Rasiklal Manikchand Dhariwal Cancer trust. RMD Cancer Hospital is on one side of road whereas other panchkarma treatments and other Ayurvedic treatments such migraines, slip disc, hormonal imbalances, back pain and many other issues are addressed on other side of the highway. Cancer hospital has capacity of 80 beds. One room consists of 2 patient bed and 2 attendant bed. 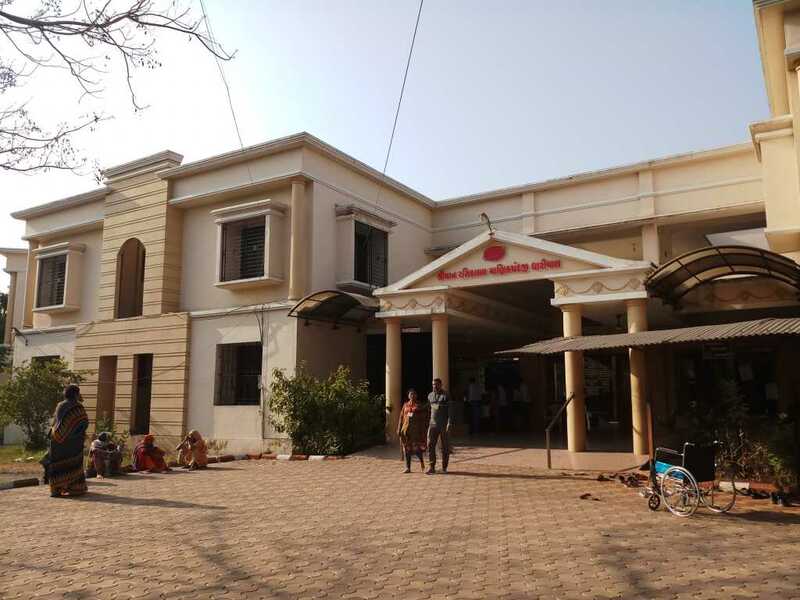 The cancer hospital complex comprises of one Jinalay(temple), Upashray(place for monks to stay), Bhojanalay(place to have food), Hospital complex and one guest house. To correct everyone around, they give you medicines, food and along with it, they teach you a way of living to recover from this dreadful disease. What is Swine Flu and its treatment details on this link. What are the facilities at GiriVihar Cancer Hospital? Along with the patient one attendant can stay with. You need to pay 1000 Rs. as a deposit for taking admission. Each day 1 Indian rupee charge is taken. There is also a guest house, where guests can stay, but it is not advisable to mob around the hospital to disturb the natural way of healing of patients. Patients and attendants are given free food. There is a different section for patient to have food. Food is totally different and healthy. Patients are switched on to a diet of barley, raagi, moong with pure cow ghee or milk. Attendants are given food at Bhojanalay like normal people. Anyone as a guest can also have food here at minimal charges of 20 rs breakfast, 40 rs lunch and 30 rs dinner. It is healthy food but not like restaurants or dhaabas. I could not get a detailed print of the schedule, but I have one of my family member having taken treatment there. So I have the details of daily schedules of patients. It is popular that here entire treatment is done with Cow products. It is not fully true. Very thoughtfully medicines are given, observing the patients condition along with treatments with cow products. Since morning 6 am schedule for patients start. The attendant and patient are required to attend a Pranayam session. By 8 am you will get your first breakfast. Tea/ Coffee is strictly banned. They provide with a kaadha of tulsi and other, which patients have to drink for entire day and no plain water. After having your breakfast, patients have to reach to their respective rooms. Doctors (Vaid) will come to your bed to examine you and ask about details. After listening to your regular updates they suggest medicines totally based on your entire health condition including blood sugar. My relative is a diabetic with very high sugar. Thanks to this institute that his sugar is now totally under control. He was suffering with swellings on liver, which was not letting him to sleep on that side. It was so painful that it ached both internally and externally. Swellings have totally disappeared and now he is pain free in 20 days. Nurses will come to your room with medicines and your details after that. Attendants have to take the medicines and feed it to the patients. After that lepan vidhi will start, where patients are applied with pack on the parts of the body where cancerous cells are there. You can find all of them having sun bath after this. Then patient can take bath. At sharp 12 pm bell will again ring for lunch. Same way, patients will be given separate food. Dinner is very early, but it is very helpful for entire health. Dinner bell rings at 5 pm. Even patient’s attendants have found positive changes in their body after following this food schedule. There is a meditation session and sabha in evening. Sabha means a meeting. Here experts will guide you about the food habits, way of living and how a healthy life style can be maintained while staying back in your cities, towns or villages. At night, bhajans will start where everyone takes part happily. At night patients are given cow milk with panchgavya and then they can sleep. Entire treatment is for 11 days. By this time, patient and his attendant will become well-versed with entire way of living that can be followed at home. If the patient wishes to extend your stay after 11 days, they have to pay 5000 Rs for 11 more days. 3rd time extension will cost you 20000 rs. Doctors suggest that if you follow all these practices properly at home you need not stay back for long days. 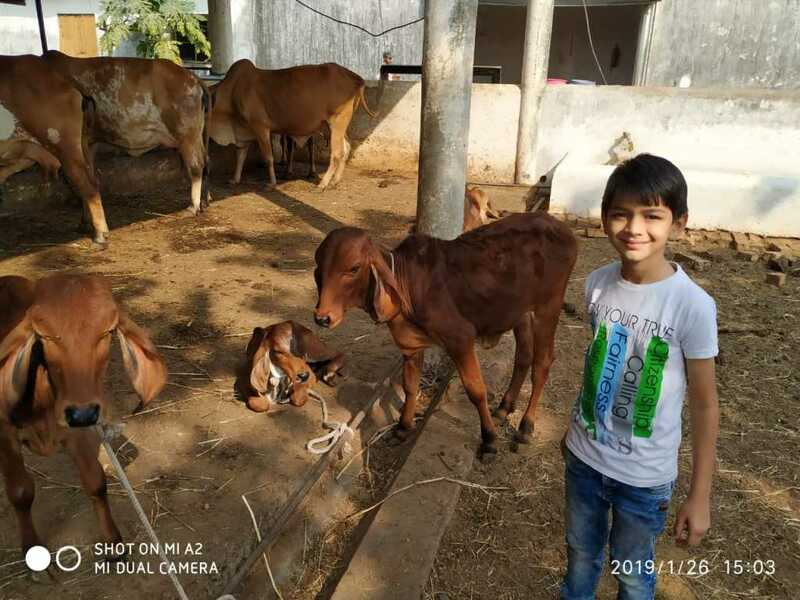 Valsad Cancer Hospital has their own Gaushala. They have total 450 cows. All are gir cows. We had the privilege to spend sometime with the divine animal. At 3 PM, anyone can visit Gaushala and feed cows with laddoos prepared by Gaushala itself. Cows were so lovable. They enjoyed all the pampering and back rubbing. Young calves were also in good numbers. All the cow based medicinal purpose packs, panchgavya or other products are prepared by products of these cows. They are fed healthy to give high end yield for treating patients. When patients leave hospital, they are given medicines required for whole month. (It shall cost you but not more than 5000 rs). You can also purchase all the food items such as pure ghee, pure honey, barley, raagi and everything that is fed to patients here. We observed that patients from all over the world were there. Some were from ultra rich families and some very poor, but all were treated with same spirit. Managers are bit strict here, but they have to. No one is allowed to enter the hospital area except patient and attendant. One more remarkable thing was all were very kind to each other. Patients, their family members, people who come to meet them everyone treats each other with lots of love and reverence. We happened to meet many people, who have been cured with this treatment. They came there for their monthly medicines. What you should take from home for treatment at Valsad Cancer Hospital? All you need is your regular toiletries, regular medicines, clothes for 11 days. They have one separate area to wash clothes and dry them at the backyard of hospital, but by hands. Attendants of patients have to do it. So try to take bare minimum attachments with you. If patient is on insulin, don’t forget to take extra refills. You can take one portable light that can be used at night, but not at cost of the other patient in the room.